April has brought some nice Mahi Mahi action to the Lady K along with King Mackerel, False Albacore, Snapper and Triggerfish. Dolphin up to 20 pounds have been taken along with plenty of schooling sized fish. 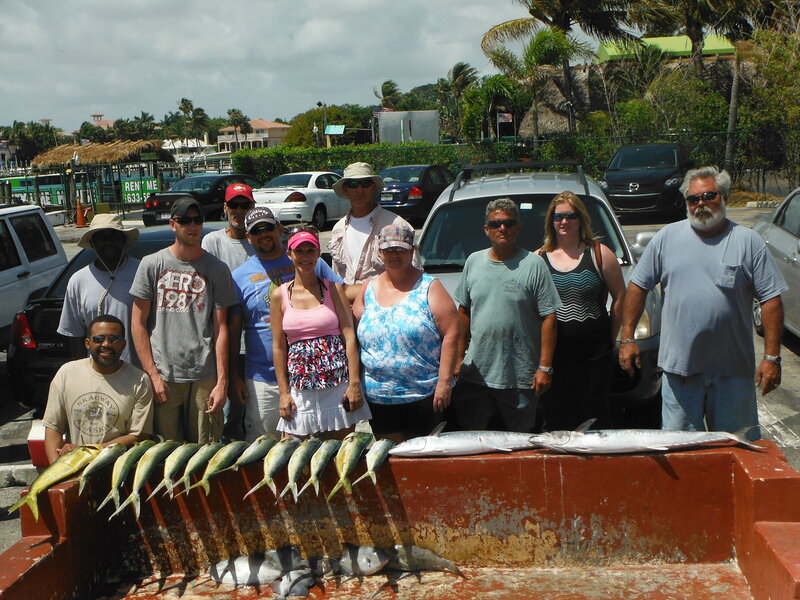 Mahi Mahi have been running through during the morning or afternoon trips and King Mackerel up to 45 pounds have been taken also. 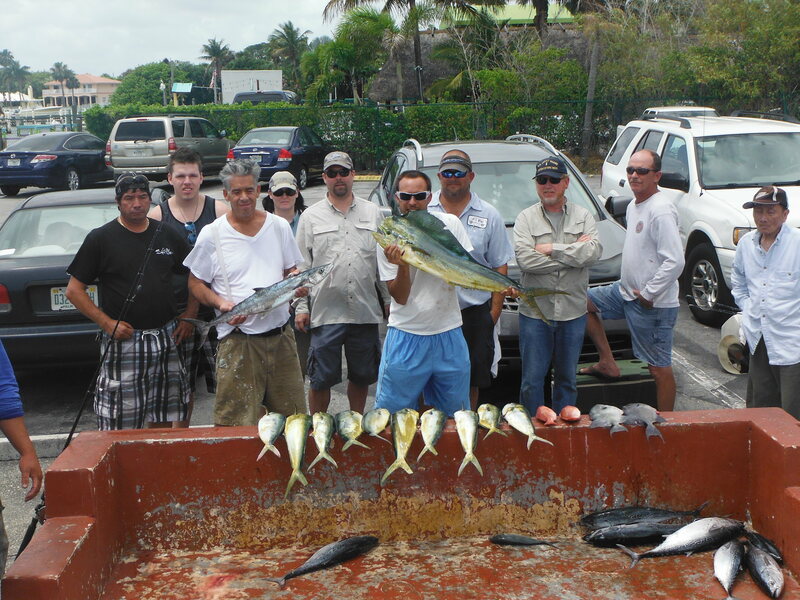 Anglers fishing drift rigs have been taken the larger fish while bottom anglers have been busy catching triggerfish and other reef fish. 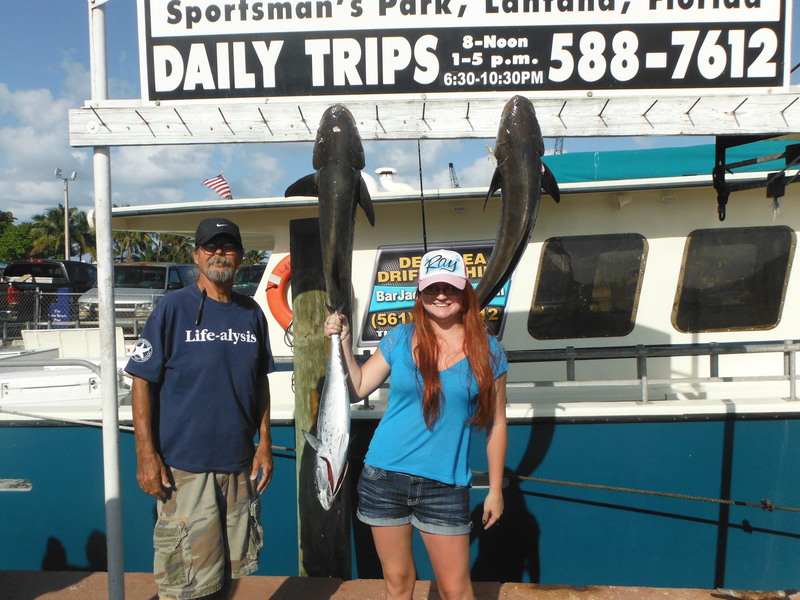 An afternoon trip brought good luck to Richard and his daughter who caught these beautiful Cobia and a False Albacore while drifting dead sardines over the local reef ledges. Cobia to 60 pounds have been taken throughout April. 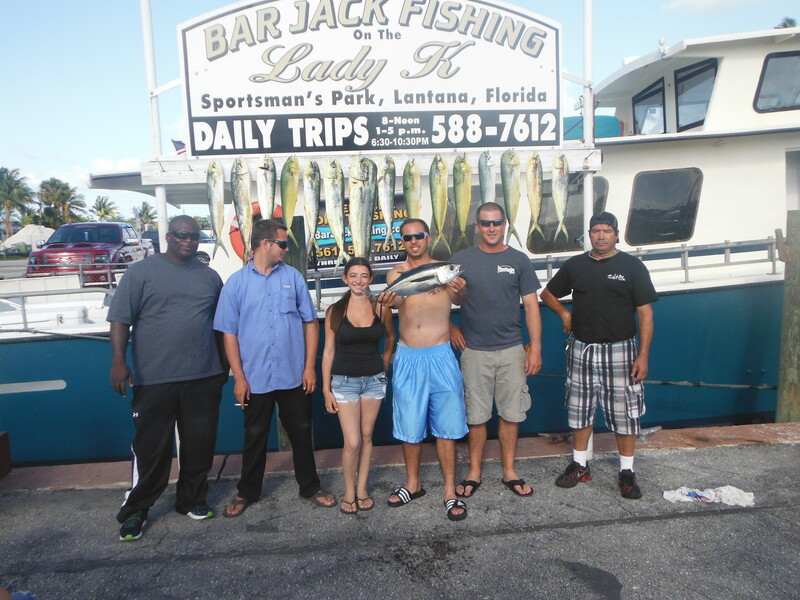 May should be the peak month for Cobia catches off the southern Palm Beach reefs. 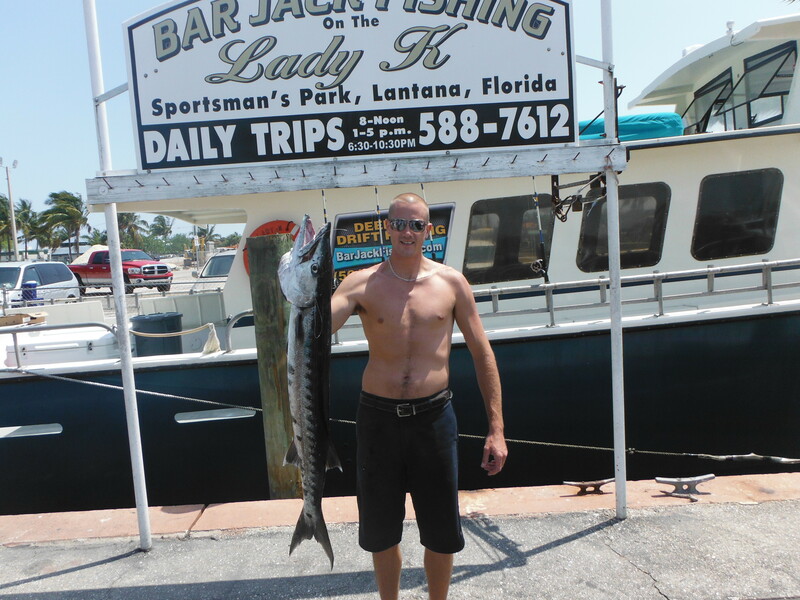 VIP angler Brandon caught this huge Great Barracuda while deep sea drift fishing off the Lady K during a morning trip. Also known as the Tiger of the Sea, these big gamefish put up a great battle with jumps and lighting fast runs. 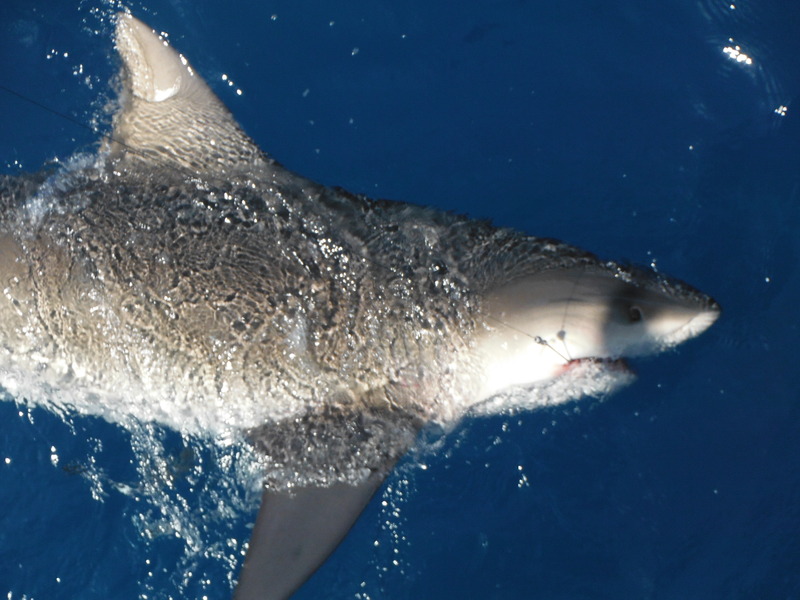 Bull, Sandbar and Hammerhead sharks have also been caught and released by anglers fishing aboard the Lady K. Anglers have been witnessed Whale Sharks cruising by the Lady K during trips as well as catching smaller species such as Atlantic Sharpnose and Blacknose Sharks. Plan a trip aboard the Lady K today and catch a good time away from the everyday. Spring is in full swing so treat yourself to a relaxing time of fun under the Florida sun while fishing with family or friends. Tight lines and good angling! !